I really really really liked this. When I read the first book in the Black Angel Chronicles, You Don’t Know My Name, I was impressed but not blown. There were things that the first installment was missing but the second one nailed on every possible aspect. The plot is driven by the previous set up so it won’t be something I would go in detail, but I would certainly praise the plotting that was more vivid than the first one. The story, though still focusing on Reagan as an individual, isn’t confined to only her teenage conflicts but also adds the thrill and action I was missing in You Don’t Know Me. Majority of the story takes place in the training area and includes practical drills to train and test the wannabe Black Angels. This resulted in a number of sitting-by-the-edge-in-anticipation moments when I felt something’s going to go probably wrong. Speaking of the thriller aspect, I think the pacing and writing was equally responsible for the great delivery. Not even once, in the span of almost 300 pages, did I feel uninterested—and that says a lot since fast-pacing is almost always my issue with most stories. The descriptive writing that felt frustratingly repetitive to me in the first book, was a bliss this time around; everything was laid out in a clean but detailed manner that drew me in. The way Reagan feels, torn and grieved, is beautifully sad to read with frequent self-accusations and angry retorts she would fire. The second book isn’t all unicorns—far from it—and the writing perfectly blends with the cold aura that’s set up. The characters were something that didn’t excite me much in the first part, but again, the sequel won my heart in this respect too. Everyone that’s featured in the length of the novel plays a role, directly or indirectly, linked to Reagan and leaves their mark discreetly. Anusha (brownie points for an Indian name, yay!) and Cam take their own spotlights for the Black Angel aspirants they were. While they have their own stories, they support Reagan through her tough times when she’s low in all ways. They’re those humanized characters who don’t worry about the competition and instead bother about genuine friendships, and I love them for that. This time, though, I won’t just give an honorable mention to Luke because he was a well-developed love interest that doesn’t just kiss Reagan (though I loved the teeny tiny bit of kissing they did) or flaunt his dimples all the time. He makes sacrifices, uses his mind, listens to his heart, tries to convince Reagan about what’s right or wrong, and even when she doesn’t listen to him, he stands beside her for all the support he can give. Now, this right here is a book-boyfriend I’ll be gushing about from now on. His relationship with Reagan is another thing that made me so happy, because they’re evidently not in a relationship, but a label—or the absence of it—doesn’t stop one from helping the other. However, a few times, Reagan was a bit annoying with the way she refused to try understanding Luke or hear his perspective. I discern her sorrow but come on, is it bad to expect a tad bit more from a story (and character) you otherwise loved? The thrill, aye! Toward the end, there wasn’t even a single second wasted or one that didn’t anchor the building climax. Things were unfolding quickly, giving me the furrowed eyebrows. There were villainous dialogues—the lack of which I was appreciating in the first book—but surprisingly, they were a pleasure here. While they do add a tinge of drama, I wasn’t flipping it off because there was an equal chance of a good and a bad wrap-up, and this intrigued me all the more. Speaking of the ending, can I have book 3 already? The way this one is suddenly, though satisfyingly, ended I don’t know what to expect from the next one because my expectations would be high if I had them. 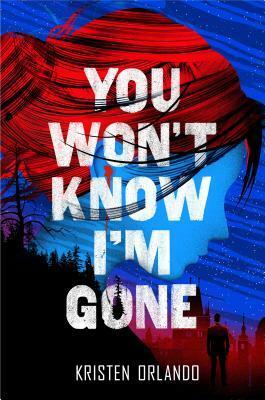 Overall, I loved this one for the amazing sequel it was to a fine first installment, and would recommend this series to all those looking for a good conflict-driven YA thriller that would play with your emotions, leaving you wanting more. I received a digital copy of this via a promotional blog tour and Netgalley but that in no way influences my rating and/or opinions about it. Thank you Swoon Reads, Xpresso Book Tours, and Kristen Orlando! A quick end note: any and all support toward this blog is appreciated and if you’re currently willing to help out this blog, please do consider donating through my ko-fi page. [all donations through this will be used for the blog/content creation/giveaways] Though, that’s not the only way you can support the blog–you can even purchase this book via my affiliate link in this post and that can help me earn a little through Amazon without any extra cost to you. But if you’re not able to do any of these two, (I still love you!!!) you can help the content by sharing it on social media and commenting.